We are up to no good. It's a bachelorette party! You're not supposed to behave. Get crazy and wild with the girls and celebrate the bride to be's last hoorah before she says I DO. Customize trendy crop tops and add the brides name to make them extra special. Now that's magical. 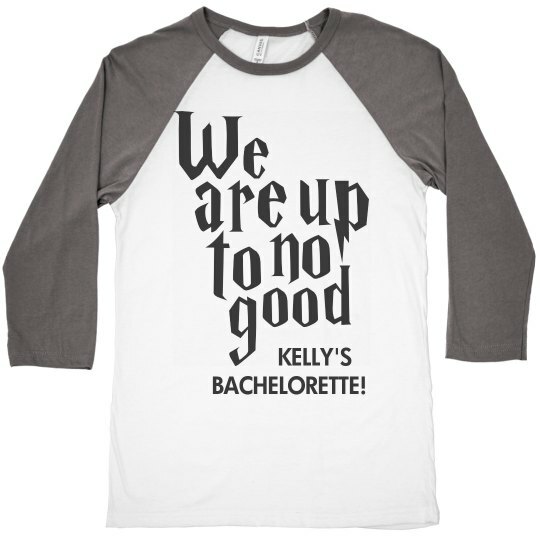 Custom Text: KELLY'S | BACHELORETTE!